After a long time I could see Revlon coming up with some of the New products. 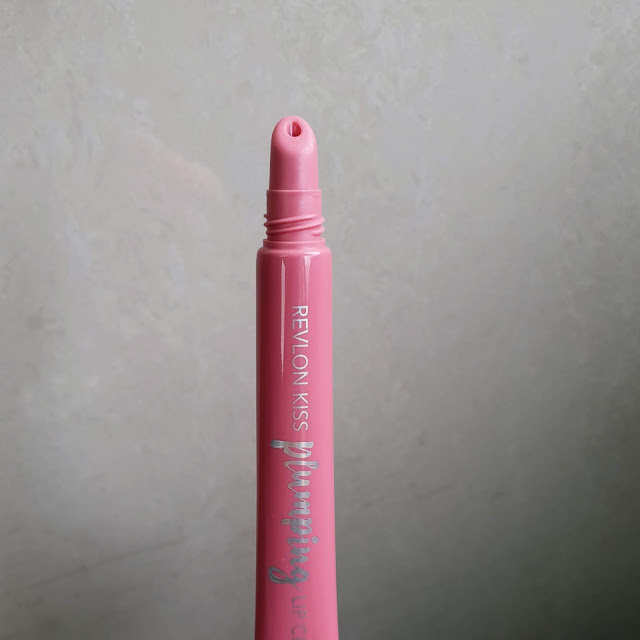 Revlon products have always been underrated but I totally love this drugstore brand and I always look forward to try their products. 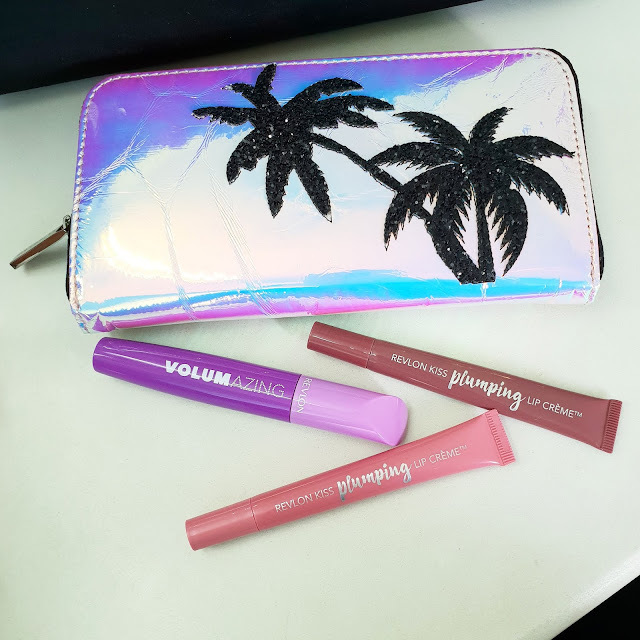 I have got Volumazing mascara which comes in a pink and lavender color packaging which looks really girly and cute. I got Kiss Plumping lip crèmes in 2 shades Peony buff & Velvet mink. Volumazing mascara has straight wand and designed with wavy bristles. It has a thick creamy formula which lasts for 24 hrs. It’s a smudge proof & waterproof formula There was no flaking of the formula. There are 3 shades available. I have got Blackest black shade. The formula contains olive oil which provides nourishment to lashes. 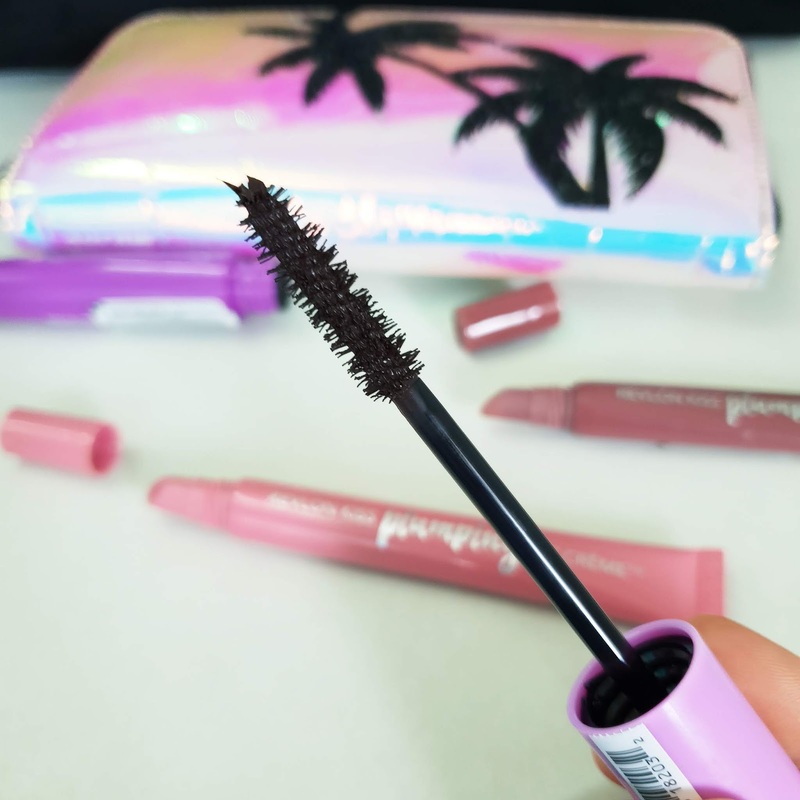 With each coat of this mascara it gives my lashes volume as well as length. It also helps to curve my lash to some extent. It doesn’t give you double lash effect but definitely helps to deliver amplitude. Its available at superdrug as well as boots pharmacy. Now coming on too our next product.. 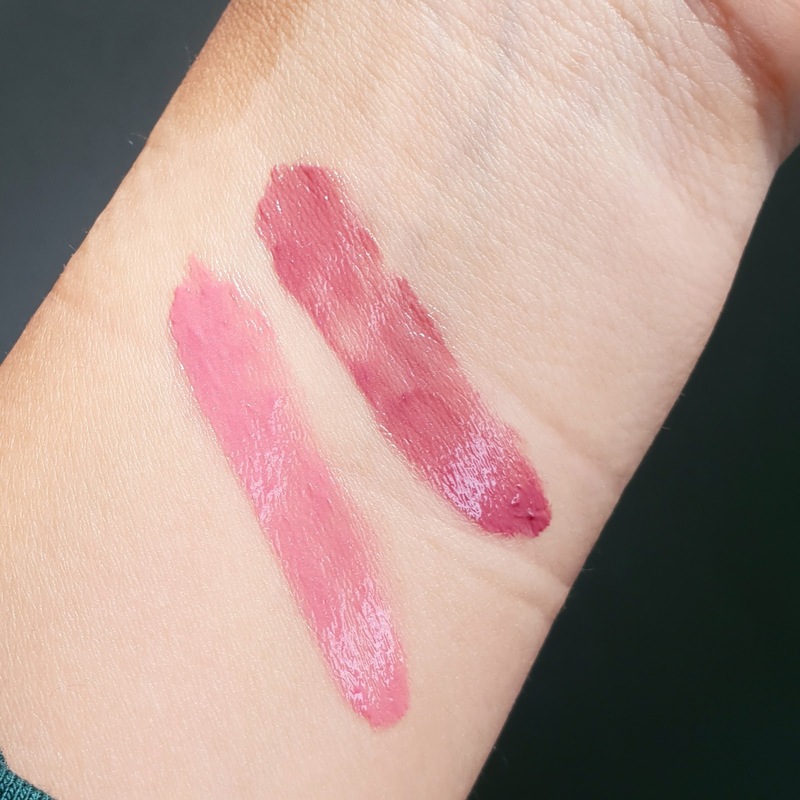 The plumping lip crème is available in 10 shades but as during the Christmas time I could see most of the shades were out of stock, lucky enough to get just two of them. 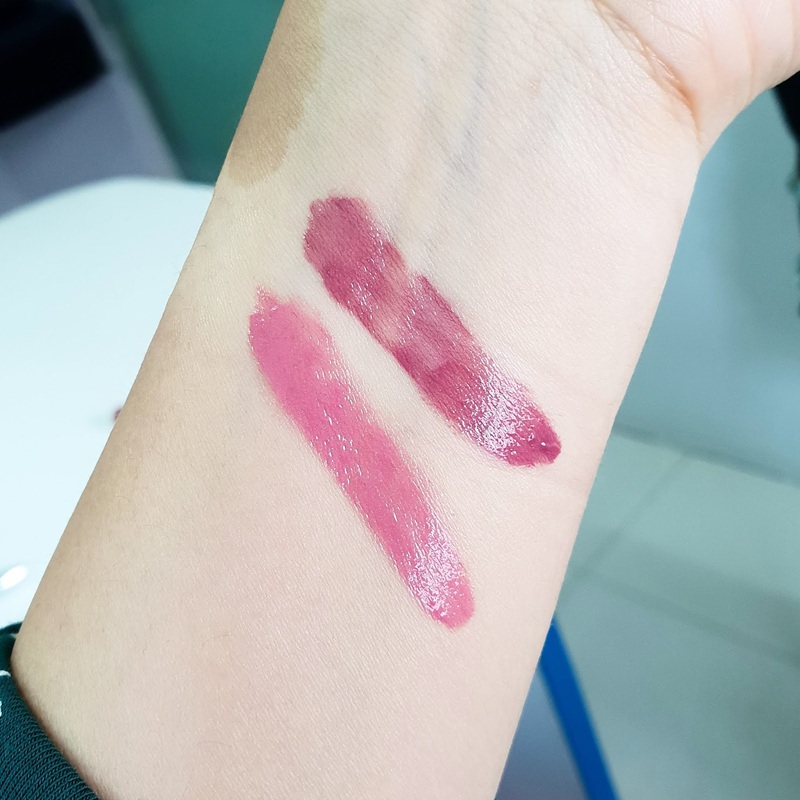 I didn't got chance to try these shades but while coming back to room and trying them out I totally loved what I picked PEONY BUFF and VELVET MINK. Peony Buff is like every gals favorite shade a rosy pink having warm tones. Velvet Mink is a perfect dusty mauve shade suitable for all skin tones. These comes in sleek plastic tube with the nozzle from which the product comes out. The formula contains VOLULIP which visibly enhances size of lips overtime. The formula is creamy and gives glossy finish. It does transfer and leaves behind light stain. It can really get messy while application. It does make my lips look fuller. The formula is less pigmented but has good color pay off. It doesn’t give complete opaque coverage. 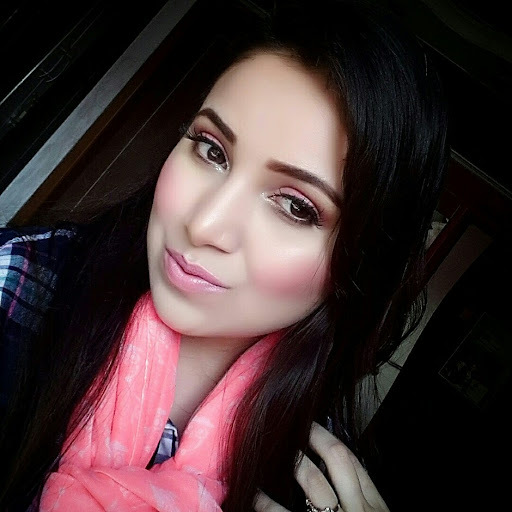 The texture of lip product is just like a cushion soft but staying power is for 3-4hrs. You need to reapply every time you have a drink or meal. It doesn’t give any sting or heat sensation on application instead it feels cool giving a little plumped effect. The formula is quite moisturizing for dry lips too its not at all sticky. I found them best for winters. When you squeeze the tube product comes out of the plastic nozzle which may not give even application but you can use your finger or press your lips for evening out the product. Overall these are super moisturizing balmy lip glosses which leaves my lips nourished. If you like a plumper more smoother looking lips with a semi sheer glossy finish you can try them off. The only thing which didn't make me happy was the plastic tub and applicator it gave me hard time for proper application. They are fragrance free and keeps my lips softer and smoother. Have you tried them yet? Let me know in comments below.